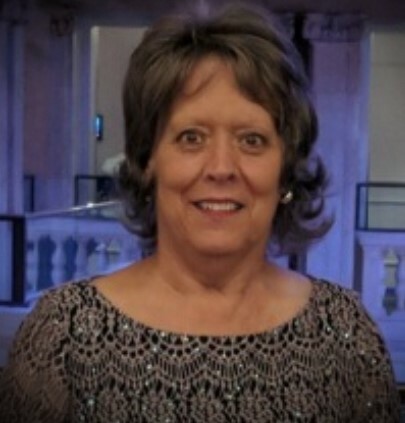 Obituary for Judy K Rockwell | Baker-Terravecchia Funeral Home, Inc.
Angels began to sing on high as the gates of Heaven gracefully opened up and welcomed in our loved one. It is with great sadness that the family of Judy K. Rockwell announce that she has passed peacefully into her eternal resting place with her family by her side on Sunday December 30, 2018, at the age of 66. Judy was born on Friday February 29, 1952 in Uniontown, Pa.
She was a graduate of the Laurel Highlands School District Class of 1970 and was a retiree of the Uniontown Hospital after spending 44 years of her life as a certified nursing assistant taking care of others. Judy was preceded in death by her mother Mary Catherine Rockwell, brother Andrew Ray Robatin (Sparky) sisters Betty Darlene Robatin (Sis) and Sandra Lee Gibson (Sandy). Judy will be lovingly missed and remembered by her daughter Carol Rockwell of Scottdale, Pa., special nephew Terry Robatin Sr., and wife Jean of Fairchance, Pa., special niece Cheryl Cole and husband Frank of Uniontown, Pa., precious grandchildren in which she loved with every ounce of her heart Terry Robatin Jr., and wife Jessica, Kalene Sullivan and significant other Brandon Mitchell, Aidan and Ashton Cole, Elijah and Noah Robatin, Brothers; Ernest West of Salem, S.C., Edwin Rockwell and wife Elaine of Masontown, Pa., Edward Rockwell and wife Pat of Port St. Lucia Fl., William Rockwell and wife Barb, of Uniontown, Pa., Gene Rockwell and wife Kathy, of Millersburg, Oh.. Judy will also be forever remembered by her numerous nieces, nephews and extended family and dear friends. Judy was well known for the cookies she perfected and baked with love, her holiday cookie trays were amazing and every cookie baked was picture perfect and tasted absolutely wonderful. She enjoyed attending bingo weekly with her brother and friends, as well as attending soccer games to watch her grandsons play as she was their biggest fan and cheerleader. You could always find her out in the community shopping (even if it was just to window shop) any chance she got. She loved to shop!! Special thank you Dr. Paul Means, Kathy Zebley, Angel Zerilla and the staff of Amedisys Hospice of Scottdale, Pa., for all of their love, care and compassion to Judy and the family. Friends will be received in the Baker-Terravecchia Funeral Home, Inc., 71 Pennsylvania Ave., Uniontown, Pa., Wednesday January 2, 2019 from 2-5 & 7-9 p.m., and on Thursday January 3, 2019 until 1 p.m. the hour of service with Pastor Lee Maley officiating. Interment will follow in Sylvan Heights Cemetery, Uniontown, Pa.
Family suggest memorial donations can be made to the Amedisys Foundation 3854 American Way, Suite A Baton Rouge, LA 70816.